Indonesia will construct an international circuit for MotoGP in Lombok. 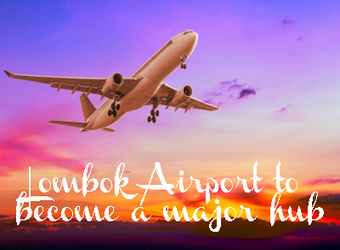 Lombok International Airport is in for major changes. In 2017 5 airlines have already announced new direct international flights. The airport operator has also brought forward a series of upgrade to welcome bigger planes, extension of the runway, more parking lots and facilities inside and outside the airport. Do not forget also that Lombok airport has the second biggest land area after Jakarta airport and it is twice as big as Bali. It is to become an regional and international hub. From Australia, Dubai, Korea or China, the foreign arrivals spectrum is about to rebalance towards the Malaysia tourism model with less concentration than Thailand for example. Estimate is set at 20% Indonesians, 20% Asians, 20% Middle East, 20% Europeans and 20% Australians. Novotel, the main hotel so far in South Lombok, already reflect the trend. Besides, the airport operator has set aside Rp 205 billion between 2016 and 2017 to improve the airport’s infrastructure, including an expansion of the apron, the construction of more gardens and airport lounges. They expect arrivals to reach 3.6 million visitors this year from 3.4 in 2016. We have noticed land prices have started to increase again at a fast rate in the area. NAGAINDO team would be happy to assist you to find your perfect land investment and accompany you in your dream project so that you can benefit the most from the upcoming ride. King Salman bin Abdulaziz al-Saud will visit Bali from March 4 to March 9. He will also explore tourism investment opportunities in Mandalika project in South Lombok, an island that won a status as Favorite Halal Tourism Destination 2016. A French state company Vinci has signed a cooperation agreement with the state owned ITDC on development of integrated tourism in the special economic zone (KEK) of Mandalika, South Lombok. The agreement was signed by Vinci Construction Grands Projets and ITDC in front of President Joko Widodo and French President Francois Hollande. The increase in the number of passengers above 30 percent, indicating that the Lombok International Airport very promising development and future potential. The new routes are also increasing. One international flight route was officially opened at the Lombok International Airport, the Lombok-Kuala Lumpur service by the airline Air Asia Indonesia. So now for Lombok-Kuala Lumpur, there are three flights a day. 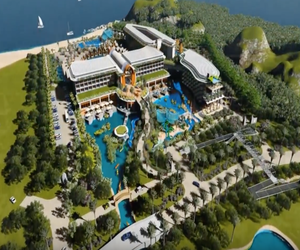 The Mandalika special economic zone (KEK) in Lombok, is set to host a four-star hotel in the next two years. Initiated by PT Elmar Mitra Perkasa, the 200-room and 10-villa property named X2 Mandalika Hotel will be built on a 3.2-hectare plot of land with an investment of Rp 150 billion [US$11.19 million]. Club Med to develop its 350-room Lombok project on a 15-hectare site with 650 metres of beachfront on Tanjung Aan bay, South Lombok. The 2017 Tour de Lombok Mandalika is set to run from April 13-16. Divided into four stages, the route will pass through Lombok's premier cultural and tourist attractions. The event event would involve three national teams and 17 international teams..
Lombok island now have first wildlife conservation park named Lombok Elephant Park. Located in the hamlet Sanggar Sari, Penjalin Sigar Village, District of Tanjung, North Lombok, wildlife conservation park is already opened while still in soft opening phase since March 1st 2017. At least 24 cruise ships are set to dock in Lembar Port in Lombok, West Nusa Tenggara (NTB), throughout 2017, quite an increase compared to last year with 18 ships. Lalu said the ships that largely originated from European countries and Singapore generally accommodated 3000 to 5000 passengers, which would mean the potential number of foreign tourist arrivals could reach more than 50,000 visitors. 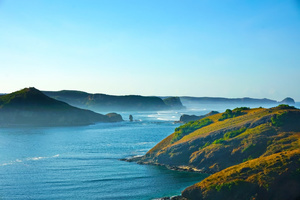 While most of South Lombok remains pristine and highly adventurous, needed infrastructure is being built on Mandalika, a limited 1,400ha area between Gerupuk and Kuta village. An amazing developer from California, EBD Paragon, have joined the Mandalika project in South Lombok, as President Jokowi brought clear guidance and commitment from the government with the Special Economic Zone status. They have recently opened the first desalinisation plant. Clean water and drinking water will be supplied to resorts in Mandalika from seawater. Electricity will also be supplied from solar power plants. The usage of green infrastructure will certainly attract the interest of world-class investors in investing in Mandalika SEZ. Green economy practices are expected to build up pride for the government, the public, and the operators. They are now about to build a 5 star hotel in Kuta: a 7.6 hectare prime oceanfront development within the 1,200 hectare Mandalika Resort Community on the dramatic south coast of Lombok Island. The property is fronted by 180 meters of pristine sandy beach and is 350 meters deep. This luxury mixed use development, by EBD Paragon, features a unique mix of lodging, residential, recreational, dining, and shopping choices. 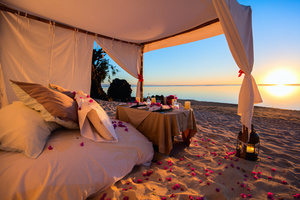 Within their hotel resort Mandalika Beach and Residence will also offer luxury apartments for sale as well as the access to a water park and a beach club. They are a leading player in the new Lombok and we appreciate their efforts to mix necessary development with sustainable solutions.